How do you measure the success of a man who’s broken nearly every record that records could break (meaning the kind you play)? Paul McCartney’s success is measured in relationships. Relationships that he has nurtured for most of his life. From his 29 year marriage to Linda, to keeping up with his school mates and instructors at The Liverpool Institute of Performing Arts (LIPA) back in his hometown, where’s he’s quite the hero, to his current band, All Together Now for 11 years and counting. It’s a tried and true formula, that like his songwriting, is hard to describe. You just know when it’s right. Paul kicked off the U.S. leg of his “Out There” tour with two sold-out shows at The Amway Center in Orlando on May 18th & 19th. While the set list added nearly a dozen “new” songs, the stage was set with the tried and true: Those four “other guys” whose act we’ve known for all these years, since 2002 that is, comprised of Rusty Anderson on lead guitar, Abe Laboriel Jr on drums, Paul “Wix” Wickens on keyboards, and on rhythm, lead, sitar and bass, Brian Ray, the newest member of the band, who made quite the splash, playing beside Paul worldwide at the pre-game ceremonies for Superbowl XXXVI in New Orleans, where McCartney debuted his post 9-11 single, “Freedom”, then it was off on Paul’s “Driving USA” Tour, which yielded the double-platinum CD release, “Back in the U.S”. 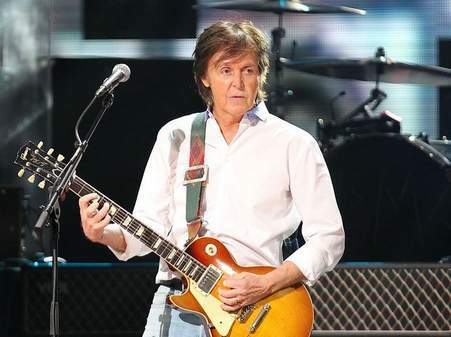 On stage, Brian stands unassuming to Paul’s left, but is focused on his role in the band. 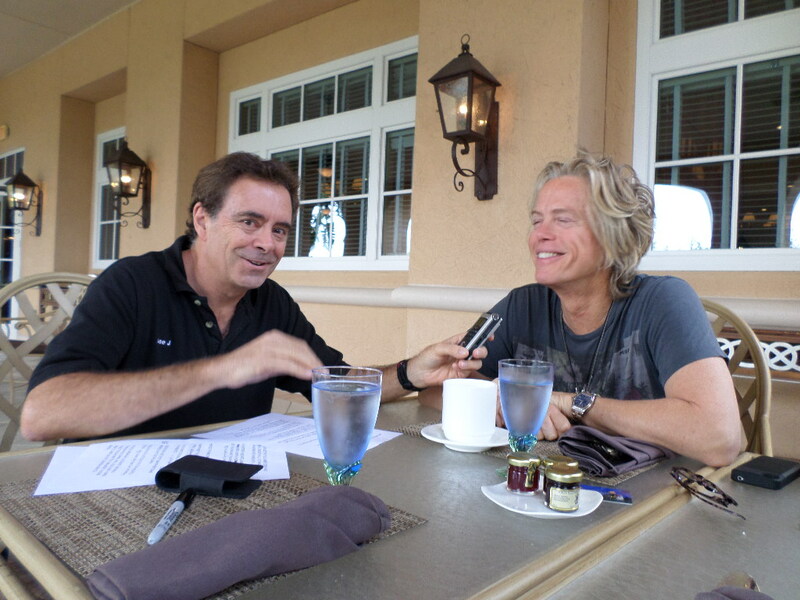 “I’m on guitar unless Paul jumps to piano, then I’m on bass”, Ray told me on our last interview. On stage you’ll hear him on lead and rhythm guitar as well as the sitar, these days (do I hear a “Norwegian Wood” vibe coming?). Brian also happily plays the role of George, sharing the mic and bumping guitars with Paul during “All My Loving”. Though mainly on guitar and bass, Brian started out on drums. At the age of 7 or 8, he got his first drum kit and a few years later, formed a band with his boyhood friend, also named Brian. Brian2 “had a much better drum set”, he admitted, so Brian1 moved to electric guitar. The mold was set for what Ray would do in his adult life: play guitar and make music along-side some of the greats: Etta James, Santana, Keith Richards, Joe Cocker, Bonnie Raitt, Bo Diddley, Peter Frampton, you name it…ok, Paul McCartney. As if being Paul’s left-hand man on stage is not enough, in 1987 Brian co-wrote and arranged a hit song for Smokey Robinson, called “One Heartbeat” that enjoyed 2-million radio plays. 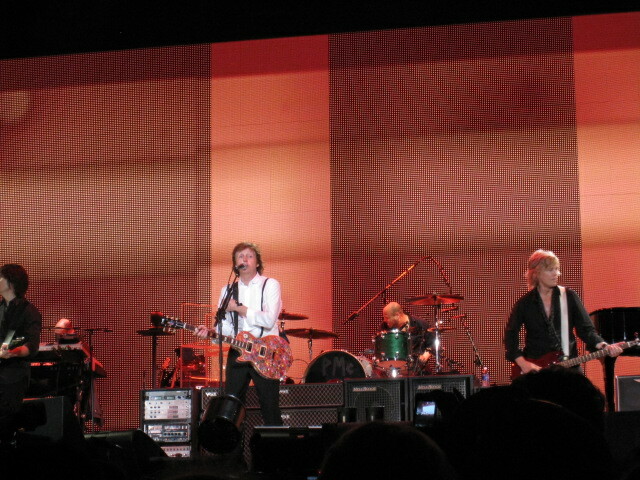 But now, between Macca gigs, he and his band, The Bayonets (really just Ray and musical partner Oliver Leiber, plus whichever musical superstar they can lure into the studio or on stage), are playing to packed houses in their free time, doing original material, covers like Smokey songs, and Cinnamon Girl, the Neil Young song that Brian says was penned for his older sister Jean, of Jim & Jean fame. This summer, the smart money’s on “Smartphone”, Brian’s new single, that E-Street band member and one time shady-Soprano character, Little Steven Van Zant calls “the coolest song in the world”. So cool that Steven practically hijacked the airwaves with constant plays on his Underground Garage channel (21) on SiriusXM. “Smartphone” dials in the feel of classic, dangerous guitar riffs that Ray grew up on, a bond he shares with Little Steven, who has also produced CDs for the surf-sounding band, The Chesterfield Kings. So while Brian may get some of the dangerous riffs out of his system crushing guitar strings to Helter Skelter on stage with Sir Paul, it’s his lightning guitar that flashes his love for the greats like Link Wray, Eddie Cochran, Chuck Berry, and let’s not forget, The Beatles. Download Brian’s newsingle, “Smartphone” plus other cool stuff below, and look for the video to “Smartphone” any day now. Hear Joe Johnson’s interview with Brian and the single, “Smartphone” on an upcoming Beatle Brunch program, and join The Beatle Brunch Club to hear the entire interview with Brian Ray, http://www.beatlebrunchclub.com, where you can also hear every week’s Beatle Brunch on-demand, and “Old Brown Shows”, Beatle Brunch programs from 20 years ago today and earlier. This entry was posted in Uncategorized and tagged beatles, brian ray, out there, paul mccartney, smartphone. Bookmark the permalink.